It is estimated that more than half of the energy in a typical house is consumed by the heating and cooling systems. That’s exactly why as a homeowner you should be concerned about the decisions you need to make about your heating, ventilating and air conditioning (HVAC) system. This is one major concern that can make a huge difference on your comfort level and in your utility bills. 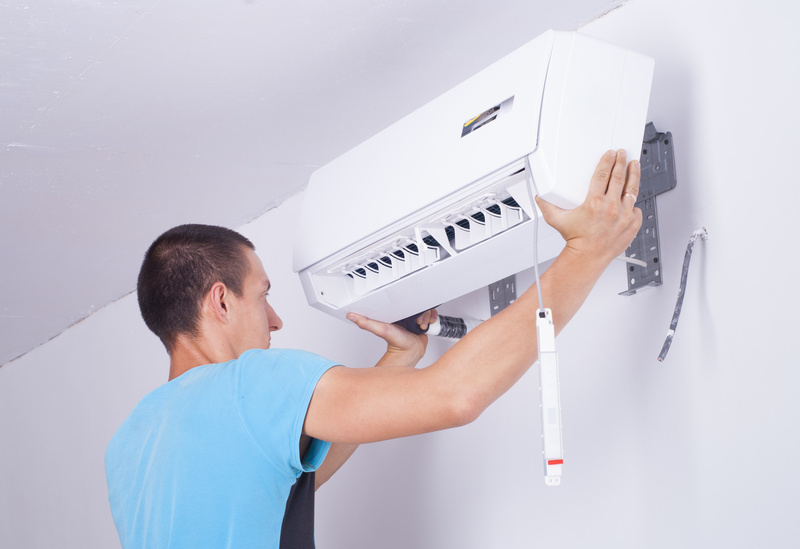 Here, we discuss why replacing your HVAC system is the most appropriate idea and what are the five most important benefits that you can avail from a new HVAC system. If you replace your existing HVAC system with a newer one that is more efficient then you can save a considerable amount of money every month. Usually, the older HVAC systems operate on 65% annual fuel utilization efficiency (AFUE) with the remaining 35% going to waste. However, the newer HVAC systems operate on 90% AFUE. This is actually great for both, your bills and for the environment as well. A new and advanced HVAC system that is more efficient heats more and maintains the temperature at a more constant level. It provides air flow that is more consistent and it has superior humidity controls if compared to the older HVAC systems. A programmable thermostat allows you to control the temperature of certain rooms of your home. This cuts down a huge chunk of the energy consumption that was costing you so much previously. Also, it provides a more comfortable environment inside your house as there are certain rooms that need to be cooled or heated more than others. If you previously had problems with the inconsistent air flow throughout your house then a higher efficiency HVAC system is what you must go for. These new systems use variable speed motors and modern filtration system that not only improve the air flow but also result in better temperature regulation, removal of air impurities and prevention of mold. When you intend to sell your house, a new HVAC system is going to increase the value of your property. Buyers usually look for the condition of HVAC systems in the houses and consider how much it is going to cost them to operate it. A house with a new HVAC system installed in it will appeal to the buyers more and this way you’ll be able to sell your property sooner at a higher price. Deciding to purchase a new HVAC system with higher efficiency is only half the battle. There are other areas which also require your attention and concern like the proper installation of the system and its regular maintenance. Bear in mind that improper installation of the system might reduce 30% of its efficiency, resulting in a shorter lifespan of the system and increased utility bills. If you’ve decided to install a new HVAC system in your house then contact Climate Control for the entire professional look after that the new system will need. Our expert contractors will make sure that your system works at maximum efficiency for the years to come and will also assume the responsibility for its maintenance at regular intervals.